BEER-SHEVA, Israel…September 5, 2017 – Artificial, man-made reefs can be more attractive to divers than nearby natural coral formations and can help mitigate potential reef damage, according to a new study by Ben-Gurion University of the Negev (BGU) researchers. The paper, published in the Journal of Environmental Management, examines artificial coral reefs as "recreational ecosystem services," offering a new methodology to evaluate the aesthetic, behavioral and attitudinal aspects of which artificial reefs around the world can be evaluated. "This new approach takes into account divers' preferences and needs alongside physical preservation of natural reefs," says Dr. Yaniv Belhassen of BGU's Department of Hotel and Tourism Management on the Eilat Campus. "Artificial reefs are only effective if divers continue to be drawn to them." Artificial reefs, concrete structures, sunken ships, and even submerged subway cars are increasingly being used around the globe to attract recreational divers, for both environmental and commercial reasons. The Tamar Reef, an artificial reef project begun in 2006, is a collaboration between BGU researchers and Jordan to restore the local reef culture in the Red Sea. Students and faculty from both countries work together in studying the artificial reef and how it affects the marine ecology in the area. Special nurseries were established to regenerate lost coral species and augment coral diversity. Small fragments developed into large corals and were planted on the artificial reefs. 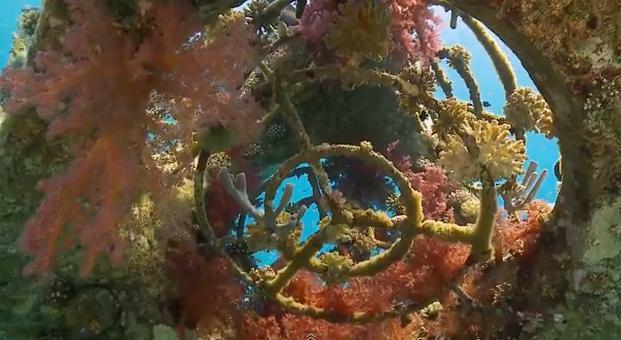 The researchers examined diving habits and behavior around Eilat's natural and artificial reefs. According to study, the average diver density at the artificial reef was higher than at the two nearby natural knolls, and the Tamar reef effectively diverts divers from natural knolls. Secondly, the study found that regarding attitudes toward natural versus artificial reefs, divers consider the artificial reefs more appropriate for training, but they feel less relaxed around them. According to the research, the sunken ship, Satil, is Eilat's most popular dive spot. Prof. Nadav Shashar of the Department of Life Sciences and his student, Meghan Rousseau, from South Africa also contributed to the study. "With the opening of the Eilat Ashkelon Pipeline Company beach to the public, where it is mostly artificial reefs in the form of pylons, one can hope that the natural reefs in the nature reserve will indeed improve," says Prof. Shashar. According to a recent report on the status of the Gulf of Eilat, the natural reefs have not been holding up well in recent years. This study was partly supported by the Schechter-Schwab Charitable Fund and by a grant from the Schulich Ocean Studies Initiative.